This coming week will be WenYu’s last full week at home, before heading back to begin her second year at Wellesley. I have absolutely loved having her here with us this summer, and I know it will be hard to say goodbye next week. This coming Saturday will be her last day of work, and she’ll be pulling a double shift. Her job as a busser has been very lucrative, and she’s made enough that she can consider an internship or study abroad course next summer as well as cover her third-year expenses. Of all our children, she always was the quickest to spend her money, but these days she’s all about the saving. Later this afternoon I’m sitting down with YaYu to go over her application essay again. Can I just say I will be so happy when this whole application business is all over? Of course, after this we get to go through the waiting, which equally tortuous. 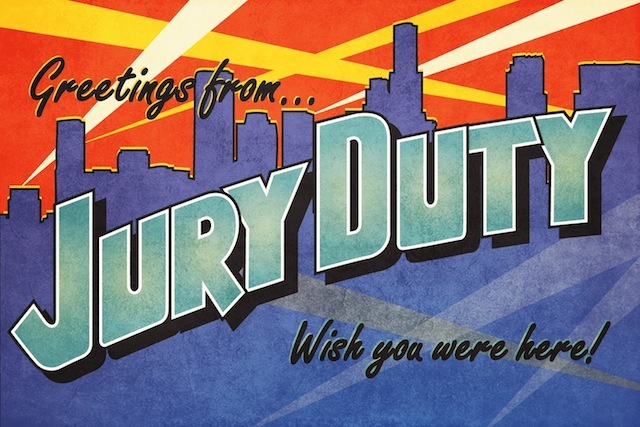 And yes, tomorrow morning I’m heading to the courthouse for jury duty! It’s the second time I’ve been called here, but the first case was settled before trial last time so I didn’t have to report. I don’t know if I’ll actually be chosen for the jury this time or not, but I’m fine either way. The tiny amount I’ll get paid will go into the travel fund. Reading: Commonwealth, by Ann Patchett, came off hold last week, just as I finished Knots and Crosses. So far I am loving this book – I have gotten so caught up in the story that I can barely stand to put it down. Listening to: A lovely, quiet morning here. There’s a nice breeze blowing through the trees outside, and a few birds singing, but otherwise everyone here is reading, and nothing noisy is going on outside. We’re going to start the laundry in a few minutes though, and there will go the quiet. 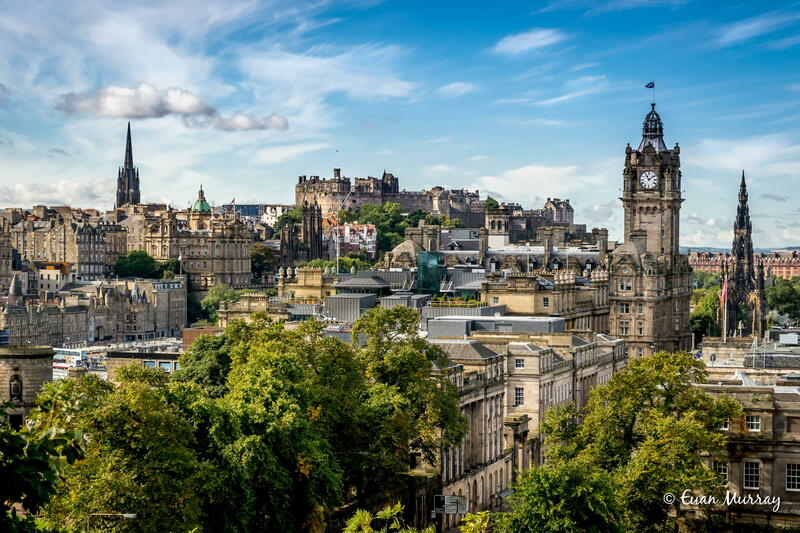 Location, location, location – the city of Edinburgh is treated almost like a character in the Rebus stories. Watching: Brett and I finished all the available episodes of Hinterland on Friday, and were planning to dip our toes into Game Of Thrones. However, we discovered that Hulu has the Rebus series, and since we’re both big Rebus fans (the books), we decided to watch this first. YaYu volunteered until late last night and Brett went along to help, so WenYu and I enjoyed watching some classic scary movies together (Sleepy Hollow, The Shining) because we love them! Cooking/baking: It’s still too hot to bake, but I made a batch of white chocolate chip – macadamia nut cookie dough this morning and am freezing it in portions so that Brett can bake a few cookies some mornings for YaYu’s lunch. Dinner tonight will be baked chili rellenos with salsa verde, yellow rice and a cucumber salad. Happy I accomplished this week: Staying within our budget on the big shop this past week was a huge chore, but we managed. We only bought what was on our list, but even then we had to put a few things back in order not to overspend, and we were only able to get two items on our stock-up list. I got all the sofa cushion covers washed yesterday and dried out in the sun. Taking them off is easy, but getting them back on is a chore. I rode five miles every evening on my bike, drank my daily water allotment (and then some), and did my language study every day. I made the Swagbucks first goal every day, although it was a challenge at times. Looking forward to next week: I’m not sure if I’m looking forward to jury duty or not. The last time I was on a jury it was interesting, and we’ve been warned to bring a sweater because the courtroom is cold. I can think of worse things right now than to be in a cool/cold environment all day. Brett is looking forward to getting an iPad Pro and keyboard this week! It’s a planned travel expense for next year (his current PC is too heavy and bulky to tote around), and we decided to go ahead and get it for him now. Thinking of good things that happened: Meiling was hired for the job she interviewed for last week – she now has three jobs but they all coordinate nicely and won’t interfere with her classes. 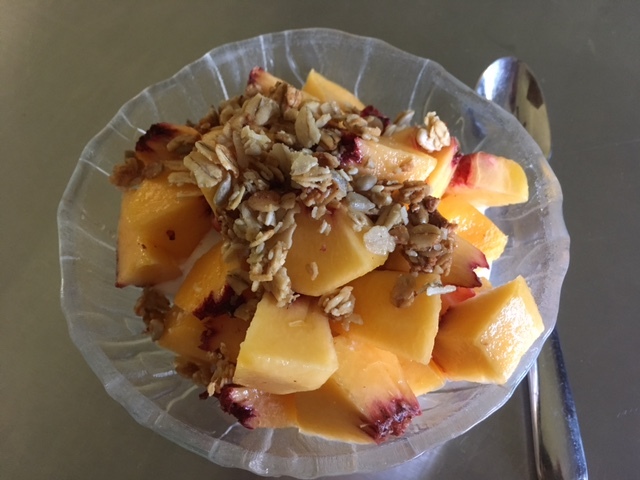 Costco still had nice big, ripe peaches available this past week, so we bought another flat and will enjoy them for one more week. Grateful for: Once again, this week I have been VERY thankful for the little fan YaYu brought me from China. It’s helped to keep me sane on more than one occasion this past week. Bonus question: What do you do when you can’t sleep at night? I go through bouts of insomnia a couple of times a year – don’t know why – but my brain just can’t seem to slow itself down. I’ve learned not to fight it when it happens and just go with it. I’ll toss and turn a few times, but then usually get up and grab my book or write or search the web for a while, and when I’m tired enough I go back to bed and usually fall asleep quickly . Sometimes though that’s not until 5:00 or 6:00 a.m. I know experts say to stay away from computers, smartphones, etc. but they don’t seem to affect my ability to fall asleep or not. Brett falls asleep the minute he puts his head on the pillow, whether the light is on at night or people are talking or the TV is on in the next room (a skill he learned from serving for so many years on aircraft carriers, with jets launching and landing right overhead around the clock). I envy him – these days I have to wear a sleep mask and earplugs because I need it dark and quiet in order to fall asleep. That’s a wrap for this week? How did your week go? What are you looking forward to? What good things happened for you? Next Post 26 Travel Questions – The Home Edition! I baked A TON this weekend, in order to prepare us for our crazy next few weeks: 2 batches of granola bars for lunches, 2 batches of homemade mac & cheese (will serve as a side dish with a lean protein to minimize calories), 2 batches of freezer breakfast sandwiches, 2 batches of freezer breakfast burritos, 2 pans of lasagna, & a batch of homemade pesto. I’m exhausted, but feeling happy with what I accomplished! I also had enough time to sit out with a glass of wine by the pool, & that’s definitely the sign of a successful weekend. I also packed for my relay next week, and booked my work trip to London, so I feel good I can check both of those off. Reading about all you accomplish wears me out, but in a good way 😊. Do you do all your kitchen work at the same time or break it up? YaYu and I have come to loggerheads when it comes to her essay – she is going to ask her teachers for help versus having us get into an argument we might regret later. I helped all three of my other children with their essays, but YaYu is far more independent. She is a hustler though and will get it done. A glass of wine by the pool sounds divine. You deserve it! It’s wonderful your girls are getting through college in good financial shape. Our kids did too, and it makes a world of difference in their young adult lives. I have insomnia occasionally too. While on chemotherapy, I was given steroids on infusion days, and I could not sleep a single wink that night. I read books all night and got through quite a pile of them over the months. We are off to Newport, Rhode Island this week and welcome the diversion! In our opinion, it’s more important to graduate without debt than to have to go to a particular school. As someone who is still paying her student loans from grad school, I’m the best example of what a drag they can be. I’ve had my bouts of insomnia since high school, and have often read entire books overnight when I couldn’t sleep. I’ve learned over time that it’s best not to fight the insomnia when it comes – the more I fight it, the longer it sticks around. Newport is fabulous – have a wonderful time! When I have insomnia I usually read or watch tv for an hour then try sleeping again. If that doesn’t work, repeat. If I haven’t slept for 3 nights in a row, I go ahead and take a Tylenol PM. That usually does the trick until my next bout with insomnia. I tried Tylenol PM just once – it made me so loopy I swore I’d never take it again. Sleep aids and I don’t get along at all. Reading solves my insomnia virtually every time, but sometimes it takes quite a while. I loved Commonwealth. Ann Patchett is talking in our city in October and I was able to get a ticket her (small) venue early on, because we’re members at the Gardens where she is speaking. I can’t wait! Reading has always been my cure, but like you, sometimes it takes longer than others. I too am a big Ann Patchett fan. Lucky you too – I would love to hear her speak.